I’ve recently updated three posts on this blog to include the latest available data. Here is a short summary. 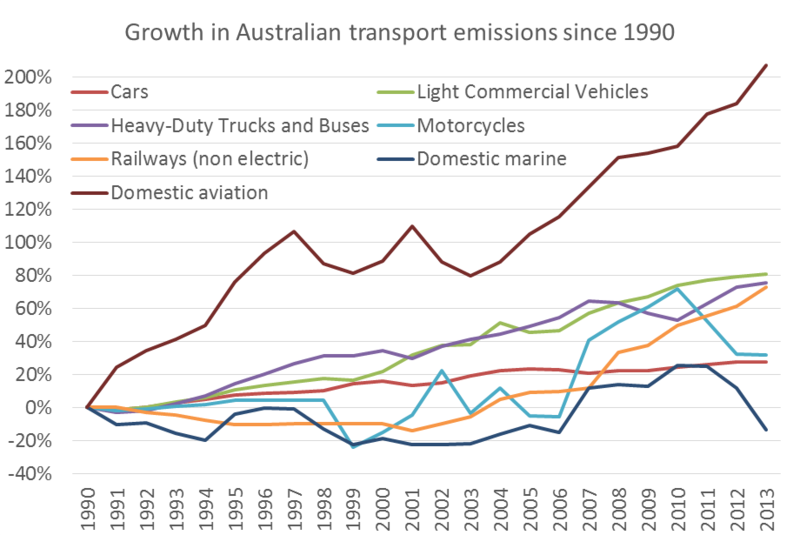 Australian domestic transport emissions have continued to rise and is now the sector with the biggest percentage growth since 1990. Domestic aviation emissions have tripled since 1990. Car emissions per kilometre were improving until 2007, but we appear to have gone backwards since then. 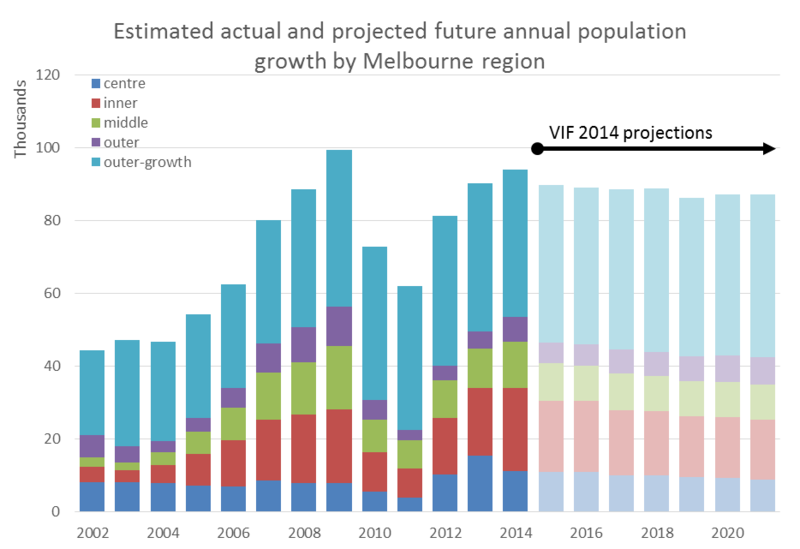 Outer growth areas of Melbourne now account for around 43% of population growth, but urban consolidation in the inner suburbs continues to exceed projections. 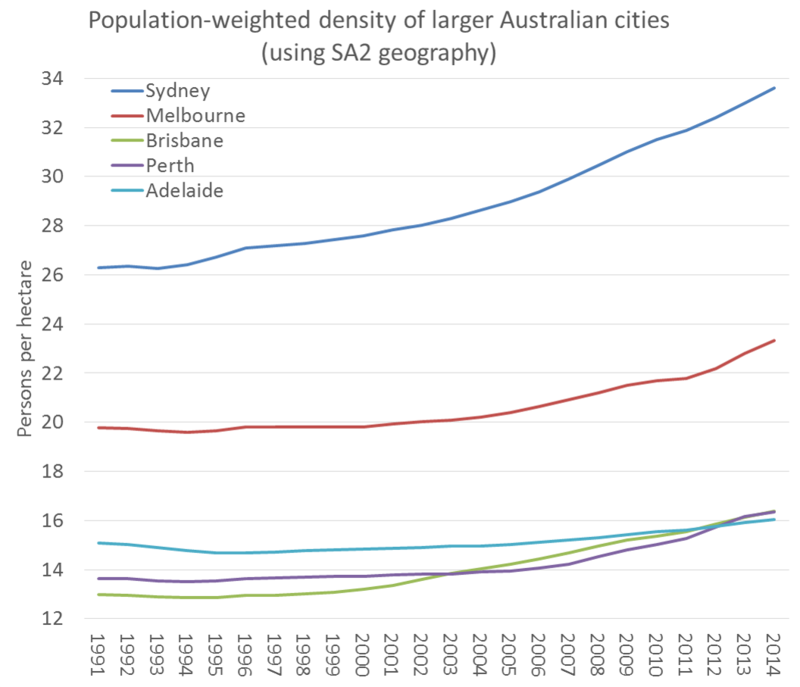 This fully revised post looks at calculating population-weighted density using a new population grid for Australia, which finally allows for an internationally comparable measure of city density. I’ve also taken a look at some smaller Australian cities. The data suggests Sydney, Melbourne and Perth have been densifying fastest in more recent years. This entry was posted on Wednesday, June 10th, 2015 at 10:42 pm and is filed under Uncategorized. You can follow any responses to this entry through the RSS 2.0 feed. You can leave a response, or trackback from your own site.